Mamas, this is going to be a GREAT show and we’ve got 4 free tickets to see it on December 7th! 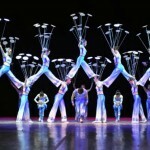 The Martial Artists and Acrobats of Tianjin of the People’s Republic of China (Tianjin Acrobatic Troupe) was established in 1957 as a combination of the former China Circus & Acrobats that was founded in 1948. 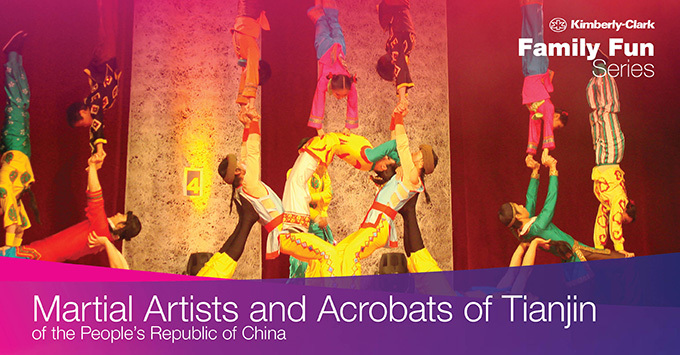 It is one of the best acrobatic troupes in China with over one hundred acrobatic, magical and martial arts performers. 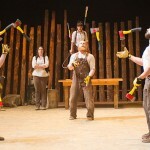 With novelty and superior techniques, the acrobatic troupe is loved by the audiences all over the world. The Troupe has more than 30 representative acts, many of which have won prizes in national and international festivals and competitions. We can definitely see why! INCREASE YOUR ODDS OF WINNING: If you’d like to increase your odds of winning these show tickets, share! Email friends and family about the giveaway and CC us so we’ll be sure to give you credit. We’ll give you an extra chance to win for each person you tell. The email is giveaways@nwaMotherlode.com. 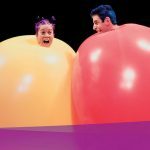 If you’d rather not leave your Acrobats tickets to chance, click HERE to get info on how to purchase tickets. There are several different dates and show times which should make it easier to find one that works with your schedule. Good luck, mamas! We’ll choose the winner on Friday! 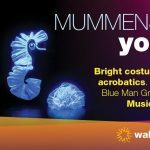 Giveaway: See Mummenschanz you & me at Walton Arts Center! 2017: Where Kids Eat Free on Halloween in Northwest Arkansas! Giveaway: Win Girls’ Night Out tickets to the NWA Boutique Show! I have four children, all with wonderful talents. My oldest daughter is a competitive dancer at the high school. My son does traveling soccer competitively, my youngest daughter is beginning her career and dance. And my newborn son, well, we will have to wait-and-see! My oldest is double jointed, so it makes for some very interesting movements and body shapes. My youngest really thinks he’s a dancer! My two daughters are both cheerleaders and tumble constantly. Talented in many ways! My daughter is amazing at everything involving art and my son is amazing at soccer! My 12-year old daughter has artistic abilities that really blow me away. I really hope she continues to find avenues to express this talent as she does through school. My daughter is an amazing artist. She can mold crazy good stuff out of model clay. My middle son is very creative. He draws extremely well, and invents stories for his drawings. My foster daughters love to create their own songs and dance all over the place!! My baby almost slept through the night! I’ll say at his baby age, that’s talent!!! I’ve got 3 kids. My daughter’s amazing talent is organizational skills, which she did NOT inherit from me! My older son makes silly voices. My younger son tells stories! All 3 would love this show! My youngest is 13 and he has an incredibly calming presence. He can instantly alter the emotions of people which sounds really strange but he just has this gift for diffusing emotional situations. I see crisis negotiation in his future. My daughter is a great artist and musician! My oldest girl is talented at school, music, art , organizing and most of all being kind and empathetic. The middle onem a boy is great at making people laugh and being sweet to the little one- most of the time. The three year old girl is talented at remembering things. I have 2 daughters! Oldest can play piano and trumpet beautifully! Youngest is an amazing dancer!!! I am blessed with 2 beautiful girls. My oldest loves to sing and does so every Sunday at Praise and Worship. My youngest is learning how to play the piano and is a natural at it. My son can scale walls and door frames. Maybe this show could inspire him to channel all that strength in a positive way! Guitar and song writing. I love to see his creativity! My daughter’s talent is that’s she’s wise beyond her years in so many ways, understands concepts and is empathetic to others’ when most children her age are not in tune with that yet. She still is very childlike in many ways, but she always surprises us with her logic. My son builds crazy vehicles out of legos and amazing structures out of blocks! Love to see what he comes up with! My baby is gone now, but her most amazing talent was making every person that ever laid eyes on her have a brighter day and being the most amazing fighter I have ever seen in my entire life! My kids have the same talents as me. Somehow managing to find every corner to stub a toe and tripping over our own feet. We’re about as graceful as a cat coming off of anesthesia. Hahaha. But that gives us our real super human abilities. We can laugh at ourselves, pick ourselves up, and keep going. One can make sound effects like a pro, one can read at an above human reading level, one cares with the love I’ve rarely seen in another person, and one is a very good artist. I have five kids, and love that they each have their own unique talents! Everything from doing the splits, to reading huge books in a couple of day, to knowing just when someone needs a hug! I’m free that night!!!! My husband wonders how I know everything that’s going on around here. I told him that this website is amazing. Only problem is I keep our calendar FULL! And he tolerates it because he loves me! Lol! My 7 year old is amazing at building LEGO sets way beyond his years and has been since he was 5. My younger son is 5 and is a very athletic. My baby girl is 11 months and we have nicknamed her Houdini! She is an escape artist! She is so strong and since she was walking at 10 months there’s no holding her back. She can climb out of or over anything! Eeekkk! My oldest is learning to play piano and loves it. She’s always an amazing singer! My son is almost 4 but he is already so talented with sports. He has an amazing arm.